Anthony Martial is prepared to reject interest from Juventus, Paris Saint-Germain and Bayern Munich to stay at Manchester United, according to reports. Martial, 22, will be tied to the Premier League side until summer 2020 once a one-year-extension is imminently triggered. The forward’s future beyond that date had been clouded by rumoured upset about a lack of starts, plus disagreements with manager Jose Mourinho – specifically August’s fine for an extended spell of leave to attend the birth of his child. ESPN have stated that the Red Devils, however, are growing increasingly confident of tying down the £36 million – an initial figure – signing from Monaco. 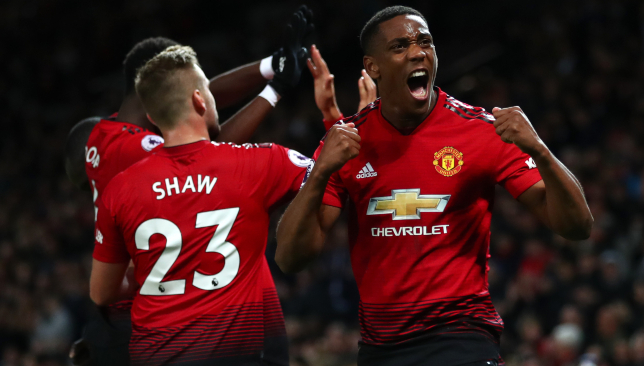 Martial has scored four times in nine appearances during 2018/19 and has appeared to cement the left-wing slot ahead of struggling Chile superstar Alexis Sanchez. A series of offer had previously been rejected, but the player and his representatives are now prepared to ink terms worth around £160,0000-a-week. The France international has scored 40 goals in 145 games for United since his September 2015 arrival. Robert Lewandowski has reiterated his commitment to Bayern Munich after scoring his third goal in two games against AEK Athens in the Champions League. The Poland striker continues to be linked with a move away from the German club, but the 30-year-old insists he is focused on helping the defending Bundesliga champions return to the top of the table. Bayern find themselves fourth, four points behind early pace-setters Borussia Dortmund after eight games, and Lewandowski is confident he can handle the pressure that comes with playing for the club. 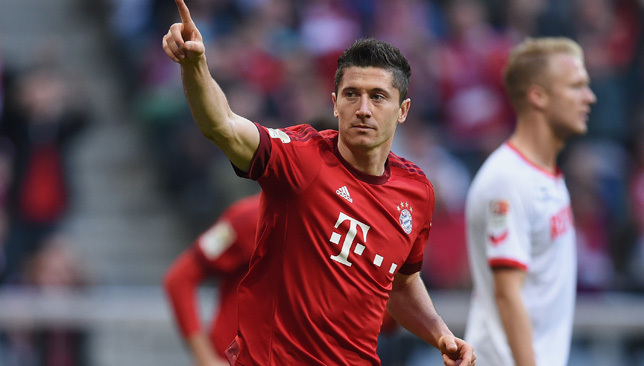 “I am used to always being under pressure and playing at the highest level,” Lewandowski told Sport Bild. “That’s what the club demands of me, and I also demand that of myself. I can handle it. “I definitely feel very happy and well in Munich. “I do my best for the team to win. But it’s still about the team, because everyone works hard for success here. Roma centre-back Kostas Manolas has admitted he would struggle to turn down Barcelona or Real Madrid. Manolas, 27, has grown into one of Europe’s best centre-backs since he joined from Olympiakos in August 2014. A contract extension signed until 2022, however, contains a €36 million release clause. Speaking to Gazzetta dello Sport, the Greece international admitted he’d be placed in a tricky position if a La Liga giant came calling. Manolas said: “If a club like Real Madrid or Barcelona were to come along, apart from Francesco Totti who turned them down, I think everyone would think about it. “We’d then have to evaluate the conditions, because I can assure you that it’s not easy for anyone to leave Roma. “Totti was fundamental in convincing me to stay. I spoke to him more than I did [director of sport] Monchi. “I don’t feel like a leader and I am not the captain. It doesn’t matter that I’ve been here for many years. We are all the same in the locker room. Manolas has scored eight times in 180 appearances for Roma.